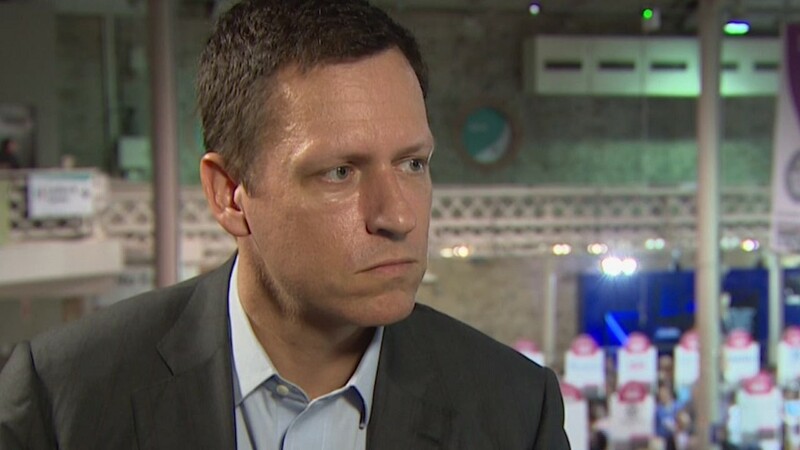 PayPal co-founder Peter Thiel called Apple CEO Tim Cook's decision to come out "courageous." "I think Tim Cook was in a very unusual situation as a CEO of a very high-profile company -- the largest company by market capitalization -- not just in technology but in the whole world," Thiel told CNNMoney during an interview at Dublin's Web Summit. Until Cook came out last week, there were no publicly gay CEOs at the 700 largest corporations. "It was courageous [because] Apple is a global company, so it's very different than if you were just doing things inside Silicon Valley," said Thiel, who's openly gay. For Thiel, who was also an early investor in Facebook (FB), it's personal. "In retrospect I would have come out even earlier than I did," he said, recalling his own experience. "One of the challenges is always these questions of sexuality -- they're important [but] they're not all important. It's part of your identity, it's not everything that you are." Thiel said people were incredibly supportive when he made the decision to come out. "The fears you have of people rejecting you are often somewhat misplaced," he said. "But at the same time you never quite know what people think so there's always a sense of anxiety." The Silicon Valley power player says Cook's openness will resonate. "I think it will make a difference," he added. "That's how the culture changes."